Speed is everything. 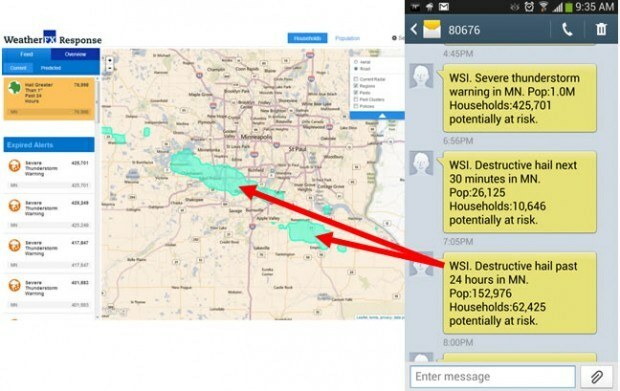 On August 6, 2013 a large hail event impacted Minneapolis, MN causing millions of dollars in damage. Following this event, WSI conducted extensive research examining insurance company response time and policyholder satisfaction. The study determined that insurers, who communicated with policyholders within the first day of a CAT and determined compensation within four days, experienced a significant increase in satisfaction and retention. However, insurance companies that were slower to reach out to their policyholders or took more time to determine compensation received significantly lower approval and retention scores. Having a timely response is an important factor in retaining your policyholders and increasing their commitment with you, as well as, recommending you to their friends and colleagues. Speed of compensation meaningfully increases satisfaction. The survey found that policyholders that were compensated within one week of filing a claim had an 18% increase in satisfaction and a 12% increase in referral. Most importantly when compensation took longer than one week, policyholders were 10.1% (5% vs. 15%) more likely to shop around or switch insurance carriers. Speed of contact meaningfully increases satisfaction. When an insurance company follows up with a policyholder within one day of their initial call, satisfaction increases 21.5% and retention increases 7.6%. After conducting this study the WSI team saw a need they could meet, and worked with several claims professionals to develop a geo-spatial risk analysis platform for insurance companies. This new platform is referred to as WeatherFX Response. WeatherFX Response is a new geo-spatial risk analysis platform designed to help insurers understand the impact of severe weather on their portfolio within minutes of weather-related damage occurring. 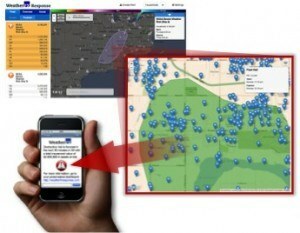 This solution allows insurers to quickly align resources by instantly analyzing PIF data in relation to a storm’s swath. WeatherFX Response also sends alerts to internal stakeholders via SMS and email when a storm’s impact reaches certain defined thresholds. This early notification allows teams to quickly reach out to policyholders by circling a geographic region on the map and sending an SMS and/or email to policyholders in that area. This proactive response ultimately helps insurers increase satisfaction and retention by responding quickly and efficiently, two important variablesfrom the study above. Tropical System to Impact East Coast this Week? Will A Tropical Storm Impact the US in the Next Couple Weeks?